I want to paint a picture for you so you know where my mind is heading up to calling to get my permit to hike and stay at Havasu Falls. I have read all websites about booking and getting permits. I have read how difficult is is to get a permit and that you have to call and call and yes call until you get through. Permits for the whole season sell out in the first few weeks. Now think about all the physical work I have gone through for the hike. All the equipment I purchased and didn't have a permit. Lastly, I have only the March to go to Havasu Falls. I was obsessed to get a permit. 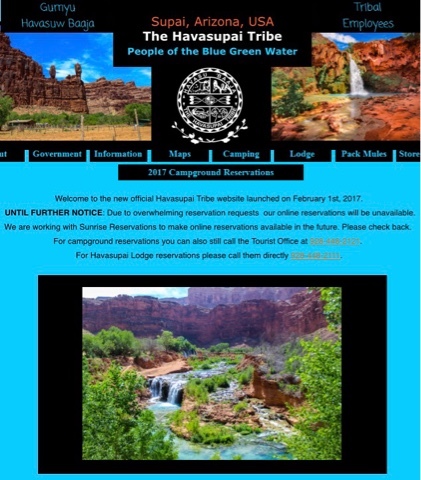 I called the Havasupai Reservation and spoke with them to confirm the numbers to dial and that they would start taking reservations on 2/1. I set aside 2/1 and 2/2 to dial all day long. In the meantime I'm at the RTR planning this hike to Havasu a falls to death. I meet up with Joanne, whom I've known online for about a year but only met in person at the RTR. She invited me to hike with her and some of her friends at the RTR and then we decided to meet and hike the Palm Canyon hike I posted about while at the RTR in January. I mentioned to her my dream and commitment to hike to Havasu Falls. She said she wanted to do this hike as well. We discussed the nightmare of logistics to get a permit and we decided to join forces, as our chances of getting through would double. It was a deal! We would work together. 2/1 came and I'm at Lake Havasu City (not related to Havasu Falls) and Joanne is in Tucson and we each took a reservation number to call. I actually found 4 additional numbers to call and precisely at 07:00 we called all day long and the lines were busy or circuits were busy. No kidding, we called all day until 19:00. Each of us dialed hundreds of times equaling over 1000 calls. We talked that evening and reassured ourselves that March would not be a busy month and that others didn't get through either and we would do it all again the next day 2/2. 2/2 dialing stated the same way but I noticed a difference that I wasn't getting as many busy signals and by noon I was convinced something was wrong. 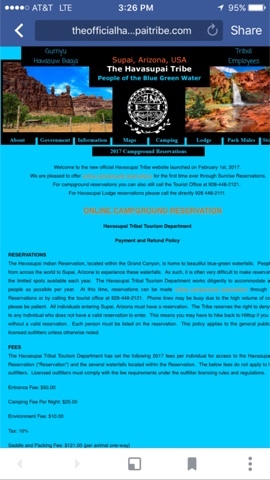 I went to the Havasupai website and found that this year they decided to offer an online reservation system. I was not told this in late January when I called the Reservation. I called Joanne from my new spot for the night on BLM land off I8, in southern CA. I told her of the change and that I had gone to the website and it was down. We agreed to the strategy of trying to get on the website to make a reservation and whomever got through would notify the other so we wouldn't duplicate or reservation. Joanne won by figuring out that the mobile website was down so she tried the full website and got in. She called me with excitement and tried some dates in mid March but there were no reservations available. She asked me about dates and I told her to pick 2 nights and I would be happy with whatever. We stayed on the phone as there were questions that we had to figure out, but we had our reservation when we were done. I told Joanne that she won since she was smart enough to think of going to the full website. She replied, You figured out that something was wrong and found The Havasupai had switched to an online system. This was truly a joint effort that paid off. 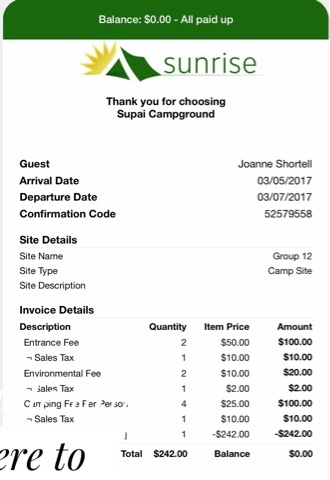 The day after Joanne got the passes for both of us the Havasupai website posted the above note that the online reservation system crashed due to overwhelming demand. 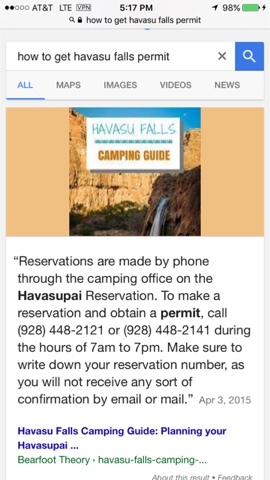 The Havasupai had to switch back to telephone reservations and the online system is still not up.